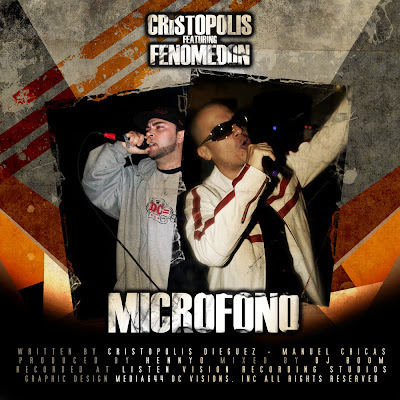 It's a pleasure to share with you my latest track 'Microfono' ft. FenomeDon. The song is availabe FREE as a high quality .WAV file here or as an MP3 here. On February 4th Gab Gotcha and Los Colombos will be storming the nations capital for a show at the monthly Latino Hip-Hop Showcase 'La Conekta'. 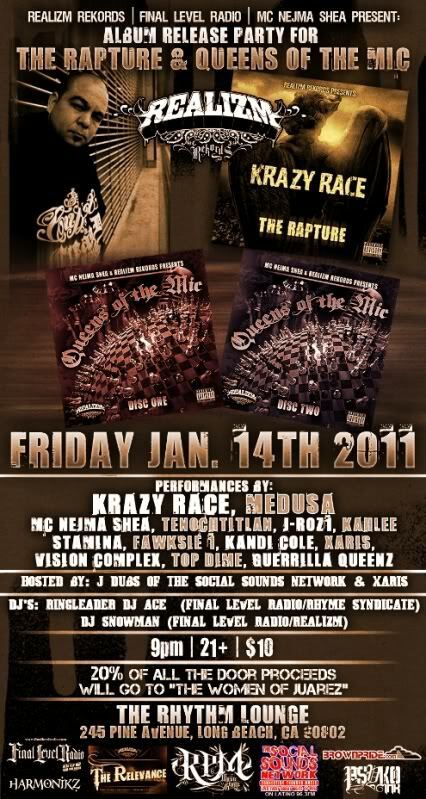 I have the honor of performing at this event along with an all star line up of talented MC's. 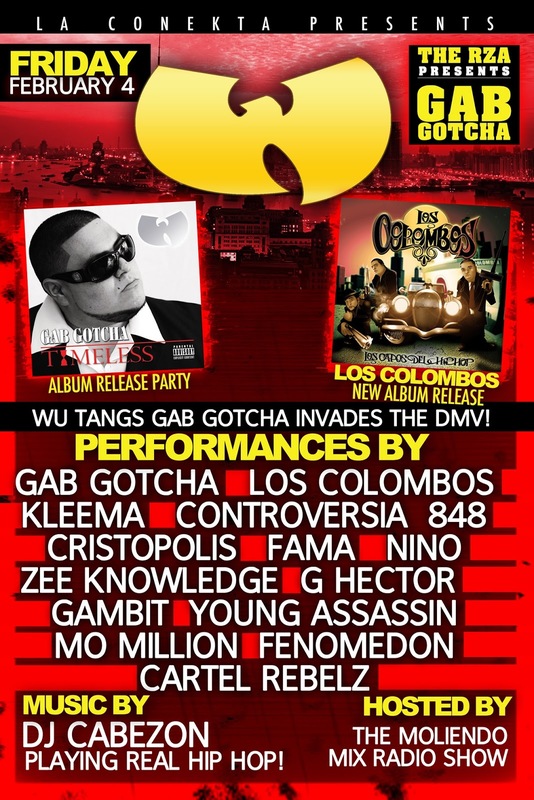 The show will be taking place at Los Arrieros located at 7926 Georgia Ave., Silver Spring, MD 20910, map. Doors open at 10pm, cover $10. Cristopolis - 'Realite' Freestyle [produced by Izonstudios] from LatinoHipHop.TV on Vimeo. Rodstarz of Rebel Diaz - "Dropping Knowledge on Chuck D"
If you are in the Los Angeles area this is an event you won't want to miss! Learning Spanish Rap Songs - Daddy Yankee - "Somos De Calle"
I found this interesting, this YouTube channel translates spanish songs to english. Singles, released digitally to the public as soon as they are completed is by far the best distribution strategy for indie artist's. Music has become a free commodity and the quicker you can leverage this insight the better off your career will be..... because the live show is where you make your money. Albums are merchandising methods which frankly, should be used as free give aways at live shows. Remember, you are fighting for a slot on an iPod playlist. You are fighting for relevancy online and in your region. You are competing to be the first name that comes to mind when someone thinks about your niche. Once you achieve this.....you'll get paid.